We love a good nut butter. And while almond and cashew butter have taken center stage (even sunflower seeds have joined the game) it’s sometimes nice to get back to our roots: peanut butter. 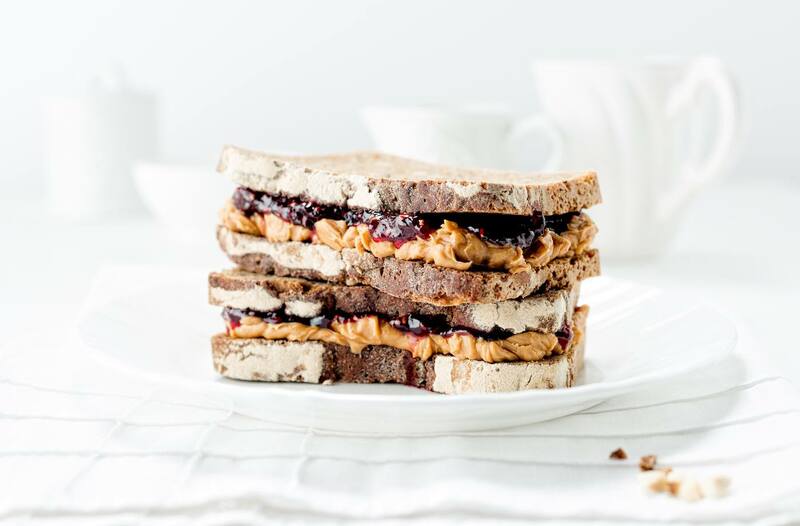 Since making appearances in our childhood PB&Js, the protein-packed spread has become a healthy-eating staple. It tastes so good, you might begin to question whether or not it’s actually good for you. Worry not—in the newest episode of You Versus Food, Well+Good’s YouTube series breaking down the buzziest food and drink trends, top dietitian Tracy Lockwood Beckerman, RD, confirms that the yummy spread has tons of nutritional benefits. 1. They’re high in protein. While almonds ultimately have more fiber, and cashews have more healthy fats, Beckerman says peanuts take the cake when it comes to protein—seven grams per 1-ounce serving. 2. They’re rich in folate. Folate is of course important for fetal development, but Beckerman says the nutrient is also important for helping your body make more red blood cells. 3. Peanuts are good for your heart. Peanuts have lots of monounsaturated fats, Beckerman says, which have been associated with lower inflammation and reduced heart disease risk. And Beckerman adds that multiple studies have associated peanut eating with better heart health and a reduced risk of mortality. 4. They’re a good source of antioxidants. Surprised? Peanuts are full of the antioxidant resveratrol, “an inflammation fighter that’s also found in wine,” Beckerman says. Are there any downsides to peanut butter? For most people, no. Beckerman says that they’re technically legumes, making them a no-go on the Paleo diet. (It’s why they go for almond butter instead.) And obviously, people who have a peanut allergy should stay far, far away from PB&Js. Natural is best, says Beckerman. They have a short ingredient list: salt, oil, and peanuts. However, she warns that some peanut butters contain unnecessary additives that make your spread less healthy (like sugars and hydrogenated oils). Also: If your “natural” PB doesn’t separate in the jar, it probably isn’t too natural. This one’s for all the people who are sick of their PB and Js. The nut butter is pretty versatile. You can add a serving to your morning smoothies or oatmeal for extra protein, use it as a base for a stir-fry sauce or salad dressing, and obviously just make it into cookies. For more inspiration, try a peanut butter and jelly acai bowl for breakfast, sweet potato fries with a maple-peanut dressing as a lunch side, a noodle bowl with a peanut butter dressing for dinner, and a vegan three-ingredient peanut butter cup for dessert. So yes, peanuts really are pretty damn healthy for you. If you need be, I’ll be over here grabbing another spoonful. This piece was originally published on March 5, 2019. It was updated on April 3, 2019. If you’re now dying for some peanut butter, try whipping up these better-for-you vegan peanut butter cups or this pumpkin peanut butter molten cake.